1UP has a brand new batch of Uncharted 2: Among Thieves screenshots. All this week 1UP is going to feature exclusive content and info on Naughty Dog's upcoming adventure title, which comes packed with three different cooperative modes for three players. The screens show off a variety of environments including jungles, snowy areas, cityscapes and more. There's an awesome mock magazine cover up and the first feature is live covering 10 things you may not know about Uncharted 2. Todays feature isn't live at time of writing, but will cover a studio visit. Future features include; exclusive videos, character profiles, and interviews with the voice talent. 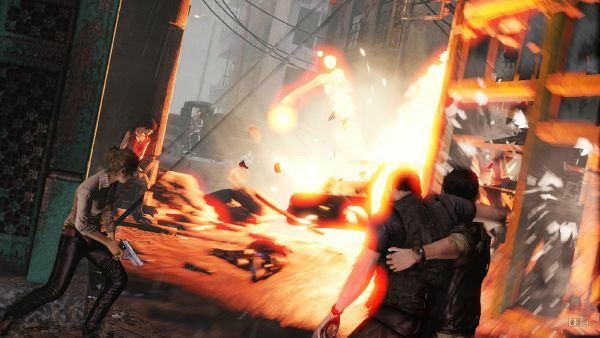 Uncharted 2: Among Thieves hits the PlayStation 3 on October 13th. Page created in 0.9045 seconds.